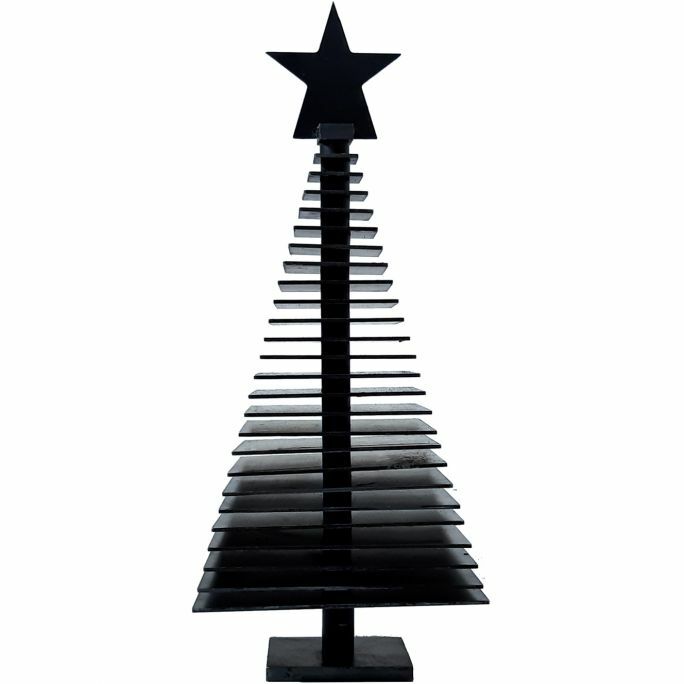 Christmas tree made of waxed black iron, pyramid or cone section. Christmas tree made of waxed black iron, obtained by sectioning a pyramid trunk with a square base and by sectioning a truncated cone. The slats of the pyramidal version can rotate, giving the possibility to create different geometries. Article reproduced in 15 days, with the differences due to manual processing.